Synonym: Iris louisiana ‘Black Gamecock. A North American native hybrid which absolutely flourishes in wet soils or as a pond marginal in standing water. The giant near-black blooms (fully 10cm/4in across) appear in early summer and returning effortlessly every year after year. 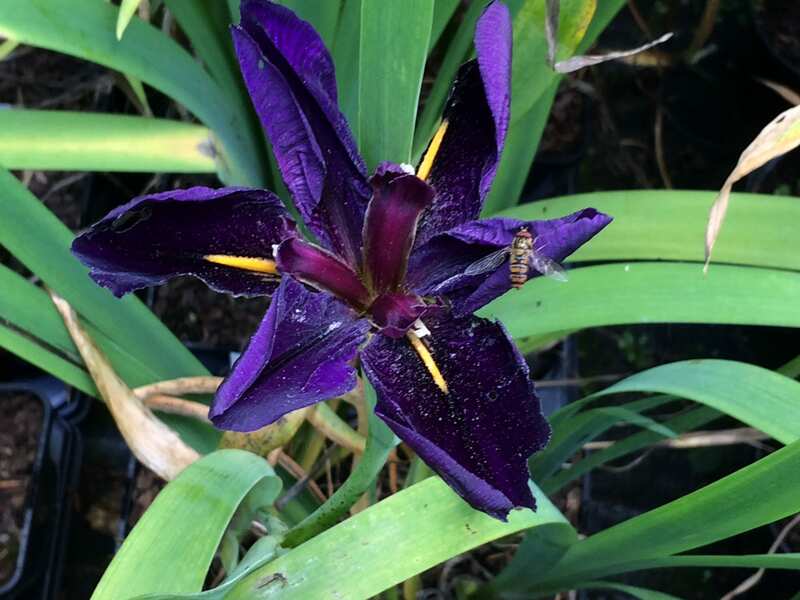 It is by far most vigorous Louisiana Iris ever grown. It is particularly effective as a marginal, in a waterside planting, the middle of a border, or naturalized in a meadow or woodland setting. An easy plant to grow. Tidy old foliage in spring and divide after 4-5 years to maintain vigour. Plant the rhizomes shallowly. * CAUTION. Poisonous if ingested.